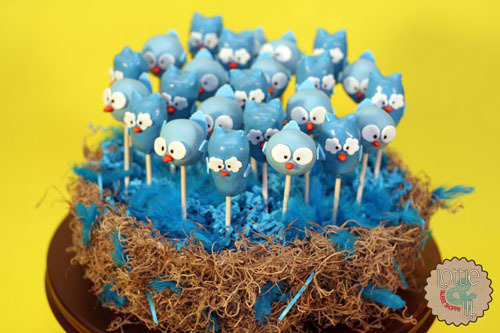 Adorable birds seem to be a popular trend lately and these little owl and blue bird cake pops will certainly make you popular if you serve them at your next party! 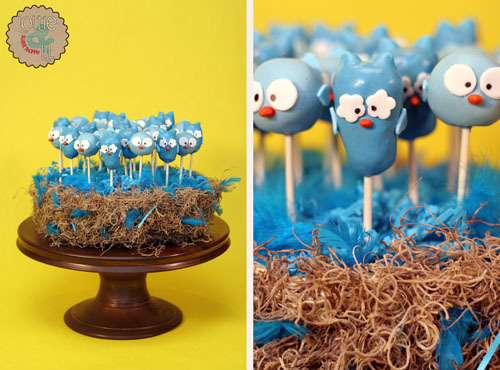 A custom nest display was created to showcase these tasty, cute as a button cake pops! 1 Fish, 2 Fish, 3 Fish ….Yellow Fish! This entry was posted on Monday, April 30th, 2012 at 8:02 am	and is filed under Recent Creations, Special Event Pops.